The penultimate red piece, AnsweRED, is a variation of traditional log cabin piecing with a central question and peripheral (in more ways than one) answers. 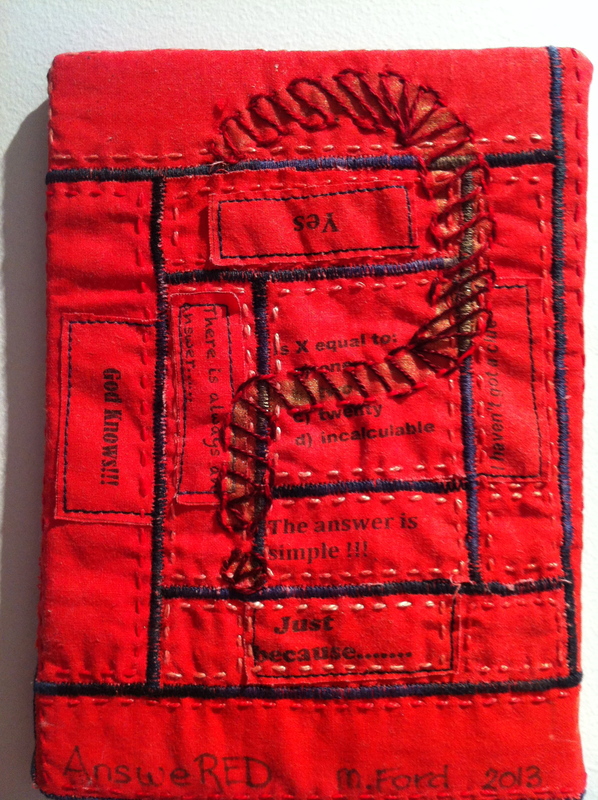 This entry was posted in Hand embroidery, Machine quilting, Uncategorized. Bookmark the permalink.